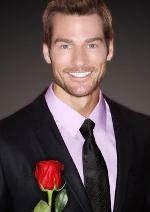 Brad Womack is back and though we’re utterly disappointed that the recycling continues, we did find him rather charming and handsome. Watch tonight (or don’t), then check back for Ashley & Jenn’s recap. If you’re an overachiever and want to do some preliminary research click here to download and print out the cheat sheet of bachelorettes. (not that you’ll need it because, as always, we’ll provide memorable descriptions and nicknames to make it easy). Cheers to a New Year and a not-so-new Bachelor!